This module details two accidents that were instrumental in the development and implementation of airborne collision warning systems that have, since their introduction, prevented many midair collisions. On September 25, 1978, Pacific Southwest Airlines, Inc., Flight 182, a Boeing 727-214, and a Gibbs Flite Center, Inc., a Cessna 172, collided in midair about three nautical miles northeast of Lindbergh Field, San Diego, California. Both aircraft crashed in a residential area. One hundred and thirty-seven persons, including those on both aircraft were killed; seven persons on the ground were killed; and nine persons on the ground were injured. Twenty-two dwellings were damaged or destroyed. The weather was clear, and the visibility was ten miles. The Cessna was climbing on a northeast heading and was in radio contact with San Diego approach control. Flight 182 was on a visual approach to runway 27. Its flight crew had reported sighting the Cessna, and was cleared by the approach controller to maintain visual separation and to contact the Lindbergh tower. 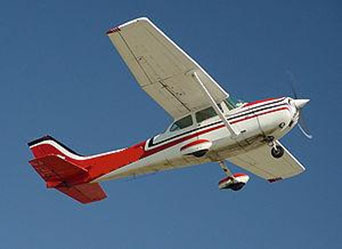 Upon contacting the tower, Flight 182 was again advised of the Cessna's position. The flight crew no longer had the Cessna in sight. They thought they had passed it and continued their approach. The aircraft collided at an altitude of approximately 2,600 ft. The NTSB determined that the probable cause of the accident was the failure of the flight crew of Flight 182 to comply with the provisions of a maintain-visual-separation clearance, including the requirement to inform the controller when they no longer had the other aircraft in sight. Contributing to the accident were the air traffic control procedures in effect which authorized the controllers to use visual separation procedures to separate two aircraft on potentially conflicting tracks when the capability was available to provide either lateral or vertical radar separation to either aircraft. On August 31, 1986, about 1152 Pacific daylight time, Aeronaves de Mexico, S.A. 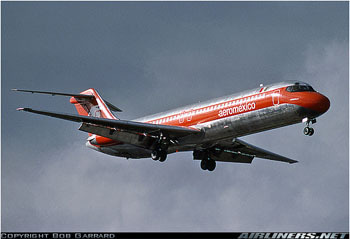 Flight 498, a DC-9-32 with Mexican Registration XA-JED, and a Piper PA-28-181, N4891F, collided over Cerritos, California. 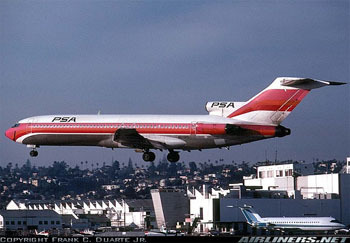 Flight 498, a regularly scheduled passenger flight, was on an Instrument Flight Rules flight plan from Tijuana, Mexico to Los Angeles International Airport, California, and was under radar control by the Los Angeles terminal radar control facility. 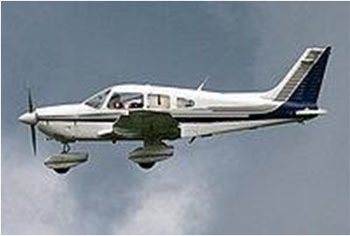 The Piper airplane was proceeding from Torrance, California toward Big Bear, California, under Visual Flight Rules, and was not in radio contact with any air traffic control facility when the accident occurred. The NTSB determined that the probable cause of the accident was the limitations of the air traffic control system to provide collision protection through both air traffic control procedures and automated redundancy. Factors contributing to the accident were: (1) the inadvertent and unauthorized entry of the PA-28 into the Los Angeles Terminal Control Area, and (2) the limitations of the "see and avoid" concept to ensure traffic separation under the conditions of the conflict.